My Sponsor, GalLover , sent me a pair of new circle lenses this month. And it's Vivian 3 Tone in Brown! 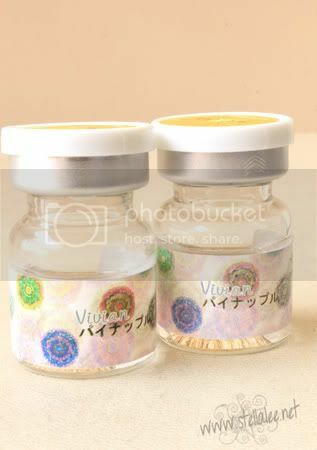 It's a super pretty and feminine circle lenses that will captivate everyone's eyes! Check it out! 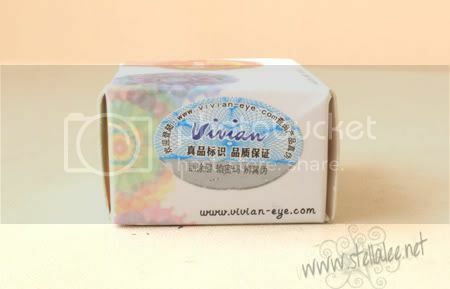 Vivian 3 Tone comes with a simple yet uniquely packaging's cover. Vivian 3 Tone is available in 5 colors, which are green, blue, brown, grey, and violet :D I received the brown one instead and I couldn't wait to wear it! 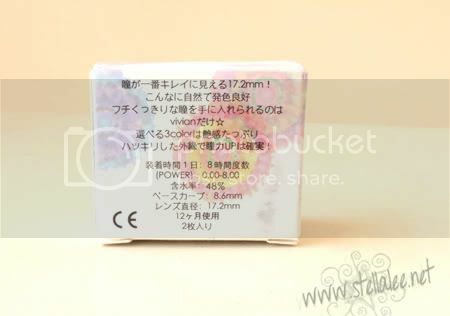 Make sure that you purchase your lenses from a store that has original sticker on the box. You need to care about your eyes, dont you? 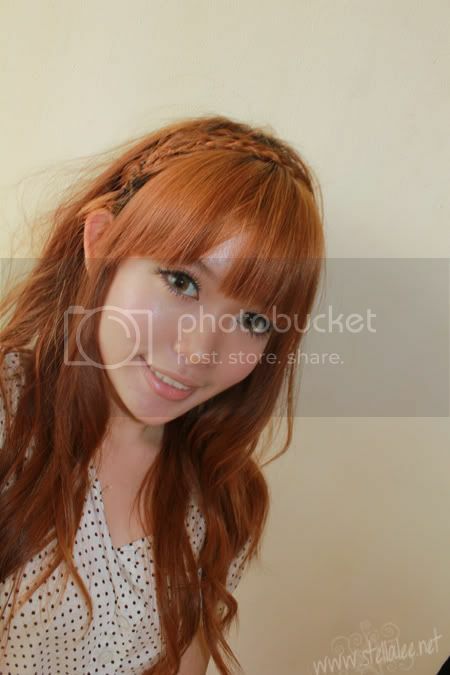 :) GalLover serves the best and genuine circle lenses, so you can purchase with no worry! It's one of the most wearable 17,2mm circle lenses I've ever tried so far! It makes my eyes larger but it's pretty natural in real life and not scary at all like what other circle lenses do. The pattern is really feminine, somehow it gives droopy and puppy eyes look. 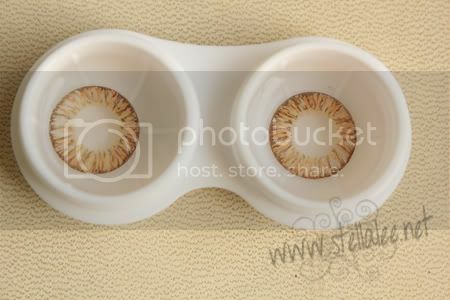 So if you hate feminine look, I'm sure you have to skip this lenses out because it's just super girly! It also somehow makes my eyes look sleepy when in fact I'm not. Although it's a down side, its also the plus point! For comfort, I've worn it with over 6 hours and I'm amazed by how light it is! It doesn't dry on my eyes nor give irritation on it, it's just super comfortable and I believe I can wear it on daily basis as well! Most circle lenses give scary result because of its huge diameter but surprisingly even though it is pretty large, it looks decent for daily uses. Achieve feminine eyes? Go for this lenses! So yeah, I'm pretty impressed with how nice and pretty the Vivian 3 Tone Lenses. You can purchase the lenses from GalLover and mention STELLALEE to receive free cute animal lens case! They ship worldwide and FREE SHIPPING for any products that you purchase from them! I love your hairstyle here! Bagus lensnya! ^^ Aku punya yang warna biru, waktu itu pernah pengen yang coklat juga tapi belum sempet beli lagi.. Kalau aku agak susah soalnya ada silindernya, huhuhu..
aku mauuuu... pengen :( lucuk banget di kamuh stell! do you mind telling me what haircolor do you have in this post? i'm considering to dye my hair this color,my hair is black and yes i'm Indonesian,do i need to bleach my hair before dyeing it this shade? Shinjuku Salon at Kuningan City is great! one more question ,how come your hair looking very healthy after dye and bleach process?do you give it special treatment,like hair mask,every week?